We’ve discussed the high-techiness of these drive units extensively in reviews of the M-Pro and the S1 Mk II, but it bears repeating. Graphene is a very new material developed in the University of Manchester in the last decade and has only recently come to the commercial world. It’s effectively a molecule-thin lattice of carbon. As such, Graphene is a super-light material with the kind of tensile strength that makes steel look like chocolate mousse by comparison. The results of using graphene with Magico’s existing Nano-Tec carbon-fibre material are obvious, as at a stroke the cone is three times stiffer and at the same time 20% lighter. It also has what Magico describes as a new “underhung neodymium base motor system” and a long-throw voice coil, both of which contribute to better power handling. The tweeter, too, is a trickle-down design from the M-Pro, and the 25mm MBD7 dome tweeter is unique to the brand in that it combines a thin layer of beryllium with an even thinner layer of diamond. This really is high-tech stuff, in that these drivers not only didn’t exist, but couldn’t have existed a decade ago. Naturally, changing the drive units means redrawing the crossover, utilising the ‘elliptical’ design that trickles down from the M-Pro (this limited edition, 50-strong thank you present to Magico’s most loyal buyers on the occasion of the company’s tenth anniversary has proved to be the seed-bed for an enormous amount of modern Magico loudspeaker design). 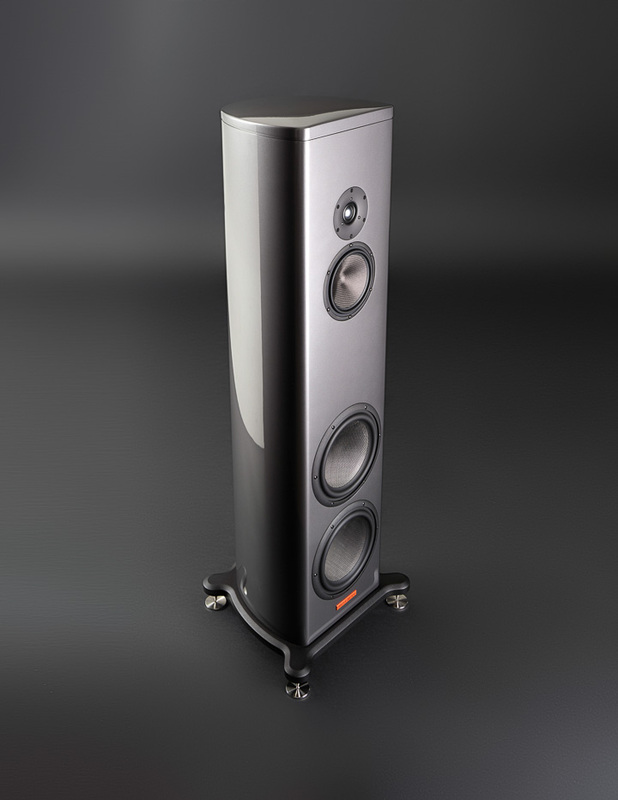 In the process, Magico has managed to make the S3 Mk II slightly less demanding of amplifier than before, upping the nominal and minimum impedance. Unless you look hard at the rear of the aircraft-grade aluminium cabinet, you might not notice that extra internal bracing (hint: look for bigger bolts), and you definitely won’t see the improved chambering (with ‘angel hair’ damping) for the midrange driver. What you will see, however, is the new plinth and reflection reducing elliptical top plate, both gently rounded and made in-house. The speaker comes with armour-piercing spikes (and feet) as standard, but Magico’s QPod vibration-dissipation devices are recommended as for the best performance. These don’t come cheap, but are addictive and people end up using them under power amps, stands, and more. There are grilles, but they are best only used to hide drive units from the passing thumbs of children! The days of Magico uttering the ‘you can have any colour you want, so long as it’s black’ policy Ford used to deploy are long gone. The loudspeaker is available in the standard textured M-Cast or a high-gloss M-Coat finish, both of which come in six colours. OK, so if you want your loudspeakers to match the plumage of your flock of flamingos, other brands are available, but the refined and restrained Magico colour palette fits the requirements of those perfectionists we described earlier. Installation is actually remarkably easy, with the obvious caveat that manhandling just over 77kg of loudspeaker is never that easy and best performed with multiple people used to manipulating loudspeakers. The ‘easy’ part here is because it is a sealed box, the S3 Mk II – like all its Magico siblings – is relatively room independent. It needs less than a metre from the rear and side walls, and at least 2m between them to fall into the right zone, and then careful adjustment to get the toe-in right. Fortunately, these are not loudspeakers that require any kind of tilt or rake, so rigid and level is the way forward. Also, once settled they stay settled, and there is no need to fine-tune the installation after a few days of bedding in. Electronics selection is largely dictated by loudspeaker price, in that no-one’s going to partner a £36,000 loudspeaker with a £100 second-hand amplifier. The use of graphene-coated drivers and their stiffer, yet lighter measured performance has opened up the options, however, and it’s now no longer mandatory to partner a S3 with a solid-state powerhouse. Good sounds can be had with good tube amplifiers, too, and demonstrations have been made using CAT and Jadis valve amps to great effect. That all being said, the Magico S3 Mk II is at its most comfy being driven by something beefy and solid-state, and the obvious choices here are Constellation or D’Agostino. Constellation and Magico often demonstrate side-by-side, and in the UK at least, all three brands have the same distributor. I listened to the S3 Mk II through good mid-range Constellation electronics and the loudspeakers really sang well. That’s the thing about Magico loudspeakers. They manage to combine all the state-of-the-art Masters of Objectivity design that would satisfy the most meters-only audio enthusiast with the sort of sound that is both precise and passionate. It’s kind of like the perfect storm of good audio rolled into one loudspeaker. Part of this comes from that just damn lovely midrange unit, which manages to express the kind of detail and emotion that got people like me involved in audio in the first place. I don’t want to start using words like ‘magic’ (despite the obvious ‘Magic in the Magico’ quips that follow), but there is something about that midrange that is just so right, so natural, and so open that you can’t help being captivated by the S3 Mk II sound from the get-go. All it takes is one voice, even if that voice is the ultimate stoner drawl of Keith Richards on the studio cut of ‘Love in Vain’ [Rolling Stones’ Stripped, Virgin]. This is one of those recordings that makes you wish more Stones albums were mixed that way, and the rehearsal is beautifully (if probably accidentally) recorded and untouched. Keef’s voice is surprisingly articulate and his wry humour comes across all the better for the speaker getting out of the way. After that, the loudspeaker extends out to the treble and well into the bass. It’s not as cavernous or as powerful in the bass as more up-scale designs, but I would struggle to find a loudspeaker at the price or below that made better sounding bass – ‘more’ bass, I grant you, but better? This does not mean the loudspeaker is bass light – far from it in fact. I played Surfin’ by Ernest Ranglin [Below The Bassline, Island] and those deep, dub bass notes pumped out powerfully and with a fine sense of ‘throb’ needed in these circumstances. That deep bass was portrayed honestly and well, without overhang or ‘flab’, and to combine those elements with even more bass requires a serious investment in audio, way beyond even the S3 Mk II. The big question – the one that no audiophile will answer or wants to have answered – is whether it’s worth paying a significant amount more for perhaps a quarter of an octave deeper bass at this point. The S3 Mk II doesn’t answer that question because it doesn’t need to answer that question. It does bass; enough bass, done right.